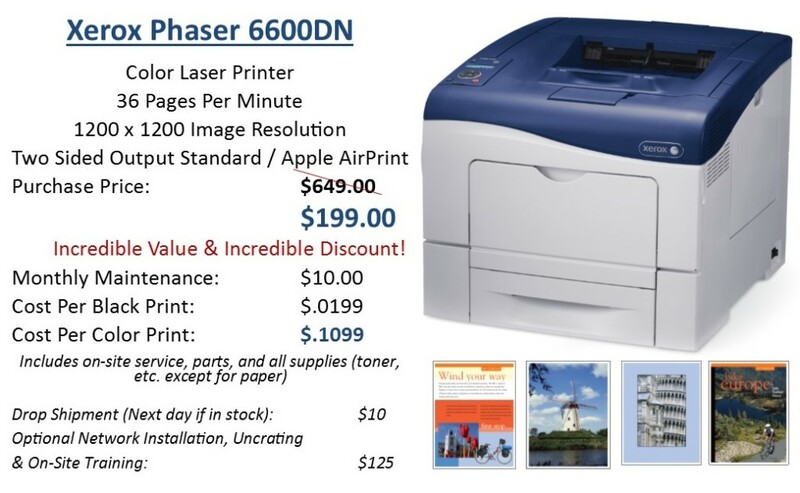 Purchase a Xerox Phaser 6600 DN and receive a high quality, affordable printer and a $450 discount! For product specifications and a video overview of the Xerox Phaser 6600, click here. 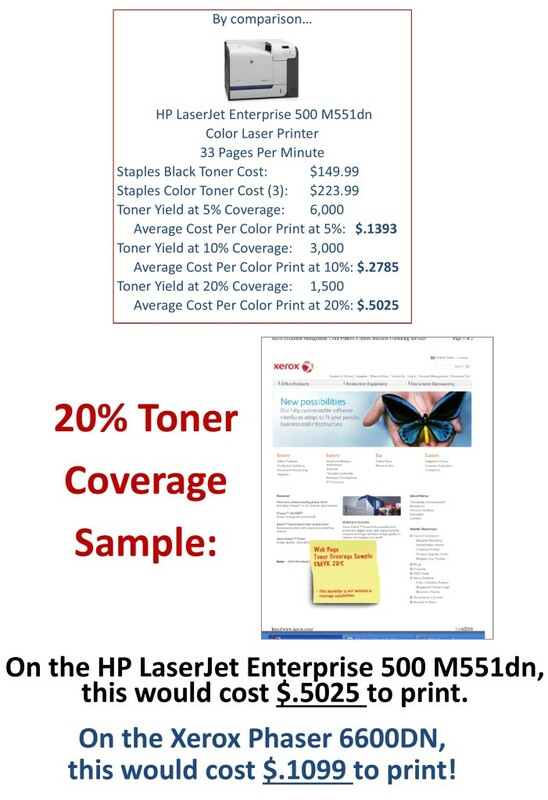 The Xerox Phaser 6600 cost a fraction of the cost to print versus competitive models…. When networked and with our affordable maintenance agreement, supplies for your Xerox Phaser 6600 will arrive automatically. These big savings end May 31st. Contact us today for more information!